As we point out in Flexcit, and Pete points out more recently on his own blog, those who gain most from trade liberalisation are often criminals, exploiting the system to sell counterfeit goods. One of the major growth areas in this respect is pharmaceutical fraud, where – as Pete tells us, there is a global epidemic. It has got so bad that US pharmaceutical giant Pfizer has found that 69 of its products were falsified in 107 countries in 2014, up from 29 products in 75 countries in 2008 - a doubling of the problem in six years. Over 700,000 deaths per annum from malaria and TB have been attributed to falsified medicines and the Center for Medicine in the Public Interest in the United States estimated that counterfeits cost the global economy around US$75 billion in 2010. As one might expect, there is an EU dimension to this and, inevitably, within that, implications for Brexit as controls have been tightened in an attempt to reduce fraud. One on the initiatives came in 2011 when the EU passed Directive 2011/62/EU amending Directive 2001/83/EC on the Community code relating to medicinal products for human use, as regards the prevention of the entry into the legal supply chain of falsified medicinal products. 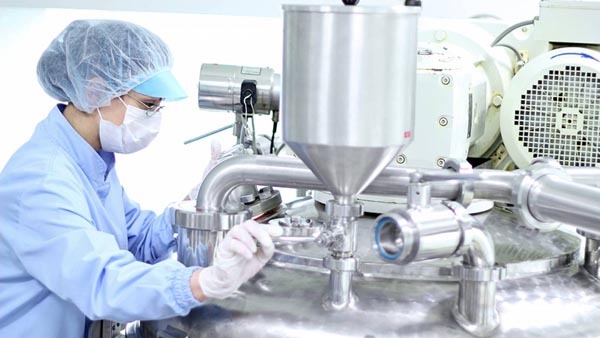 This created a new layer of control to a category of product called the API (Active Pharmaceutical Ingredient), thereby covering not only finished medicines but to their primary ingredients. Then, in 2013, along came Commission Implementing Decision 2013/51/EU on the assessment of a third country's regulatory framework applicable to active substances of medicinal products for human use and of the respective control and enforcement activities pursuant to Article 111b of Directive 2001/83/EC. The length of the title is compensated for by the brevity of the law, running to a mere one page. And, as the title sets out, the Decision specifies how third countries are to be assessed to determine whether their regulatory frameworks applicable to active substances exported to the Union "ensure a level of protection of public health equivalent to that of the Union". What the Union is saying, therefore, is that in order to export APIs to EU Member States, legislation and controls in third countries must be at least as stringent as those prevailing inside the EU. Furthermore, before being allowed to export, they must be checked out by the Commission before being included on a list of approved countries. We are familiar with this type of control, seeing it with meat and meat products, and with racehorses and other live animals. Before even being allowed to export, a third country must apply for approval and wait to be included on the relevant list. For APIs, we are helpfully advised that there is no "application form". After Brexit, the UK will have to submit its request to be included in the list of equivalent third countries "in accordance with Article 111b(1) of Directive 2001/83/EC" by way of a letter addressed to the Director-General of DG SANTE. An electronic copy also has to e-mailed to Brussels. The fax machines seem to have been junked. Needless to say, just a simple letter is not enough. It must be accompanied by a considerable amount of documentation and information, including information on empowerment of authorities, supervision, authorisation/licensing/registration and inspection of API sites. For the UK, that should not present too many problems, as we already have regulatory convergence, and can pass muster on all the regulatory requirements – especially if all the relevant EU legislation not already adopted is re-enacted via the Great Repeal Bill. But, as with other sectors, regulatory convergence is only the start. A formal assessment must be made, based on what is known as the JAP checklist. Ironically, it is produced by the European Medicines Agency, currently based in London. Then, in what could be a humiliating experience, there will have to be an on-site audit of the third country's regulatory system, unless a mutual recognition agreement ("MRA") is in place that covers the manufacturing of APIs. This will have to be a high priority for UK negotiators, who may want to embed such an agreement in the larger free trade agreement. What we will also have to do is negotiate a transitional arrangement as the time taken for dealing with the request is "several months". We do not want to find ourselves with a gap after Brexit day, when we cannot export because we are waiting for approval. This takes on an extra urgency when the "several months" in some instances may prove to be optimistic. For sure, Switzerland managed it quite quickly, submitting its application on 4 April 2012 and getting approved on 23 November of the same year. Israel submitted on 3 September 2014 but didn't get approved until 2 July 2015 while Australia started on 18 September 2012 and got approved on 25 April 2013, beating Israel by one month. Even the United States took six months while South Korea, with its shiny new free trade agreement, applied on 22 January 2015 and is still waiting. Worse still is New Zealand which applied on 26 June 2013. Its application is "on hold", pending clarification of the scope of the existing MRA. Once the country is approved, it doesn't stop there. The "competent authority" of each approved country must attest in respect of each active substance that they have been manufactured in compliance with standards of good manufacturing practices (GMP) at least equivalent to the GMP of the EU. The manufacturing standards in the EU for active substances are those of the International Conference for Harmonisation – ICH Q7. This compliance must be confirmed in writing by the competent authority, on a standard EU form. Once in the grip of the EU, a mere letter is no longer good enough. Post-Brexit, though, we can at least retain the illusion of control by applying our own domestic standards for medicines produced exclusively for the UK market. However, given the international nature of the drugs industry, it is unlikely than many manufacturers will want to work with two-tier standards, especially as any product made to a relaxed standard will undoubtedly be considered inferior. As to the cause of all this – pharmaceutical fraud – there is perhaps some small comfort to be had in knowing that the EU's current anti-fraud strategy was devised by the European Medicines Agency in 2014, with an action plan that ran to the end of 2016. By the time we see the next plan, it will be from a different location, as the Agency moves its headquarters. But then, as an independent nation, we can produce our very own fraud plan, in between waiting for EU officials to inspect our manufacturing plants. We need not, however, be too cynical about all this. In the longer term, we can engage with WHO and its IMPACT initiative, launched in 2006. This is a global menace and a global, outward-looking UK could be just what is needed.